Fare you well, Mr. Helm. A remembrance. I just got the news that Levon Helm passed away this afternoon. He’d fought hard against cancer, and won more than a few battles, leading to some of the most miraculous and touching music of the 21st century. I was blessed to be present at more than a few landmark performances while he was supporting “Dirt Farmer,” his 2008 Grammy-winning album. Our band, the Ramblers, had just recorded our first album in Brooklyn. John Embree and I, while planning the record, had talked about where we wanted to have our record release…”Boy, wouldn’t it be great to do it up at Levon Helm’s studios?” We laughed and reveled in the dream for a momenbt, then moved on. Not a week after the record’s completion, we played a show at Banjo Jim’s on a Monday, at 8pm, not thinking anything much would come of it. Were we wrong. We played a great show, with just a handful of folks in the audience…it turned out one of those folks was Erik Lawrence, the then-booker for Levon Helm’s Midnight Ramble. Long story short, he loved our music and asked if we had any CDs. I said we’d just finished our record and I happened to have a burned copy on me. He said, well, you should come do your CD release and open up for Levon. My heart jumped. Our dream had come true…we were just mindblown. We opened up for Levon twice that year, to a standing ovation at the Ramble, and later that summer at the Woodstock Playhouse. For John, sitting behind Levon’s big Gretsch set both times must have been amazing…for me to watch my Arkansas-bred friend in the patriarchal seat was amazing. All of us felt so amazed by the generosity and kindness of Levon’s staff and the vibe of the players and the barn itself. I felt like I was entering a holy space…later I found out Levon had designed in the clerestory windows to resemble an old church. I actually got to go to several Rambles, as I mentioned, that summer, when Levon was at the height of his reclaimed powers. There were tears on more than one occasion as he built up and broke down the set so skillfully. I realized I was in the presence of a master, a person whose showmanship made everyone feel at home, elevated, and like they were being paid attention to. He had a way of making every audience member feel like they were being sung to directly. The country soul he brought out when the band was just him on mandolin and an accordion on some of the darker songs was simply incredible…I felt like there was just this…THING…that was occurring. Beyond the Band, beyond the RCO, beyond Dylan…there was a darkness and a light all wrapped up in this man, an intensity, a bridge between the vaudeville snake-oil hucksters and the highest kinds of high art. I feel blessed that I had a chance to meet Mr. Helm at one of our performances opening for him, right before his set. I was stunned. Stunned that my hero had first of all seen a part of our show…stunned that he was so kind and giving…and that he liked it. And that he would give me this honest, simple praise. I don’t remember exactly the end of the exchange, I was so blown away… there were a few more sentences spoken and smiles given. Eventually I said something like, thank you so much, have a great set…this has been amazing. he said something like, “glad we could have you,” smiled, shook my hand again, and went off to play. Beyond all of the trappings of music, all of the popularity contests and games the media plays, beyond all of the hassles and bridge tolls and costumes and masks, there is an essence to music that is about people connecting. People giving their hearts and souls to what they do. 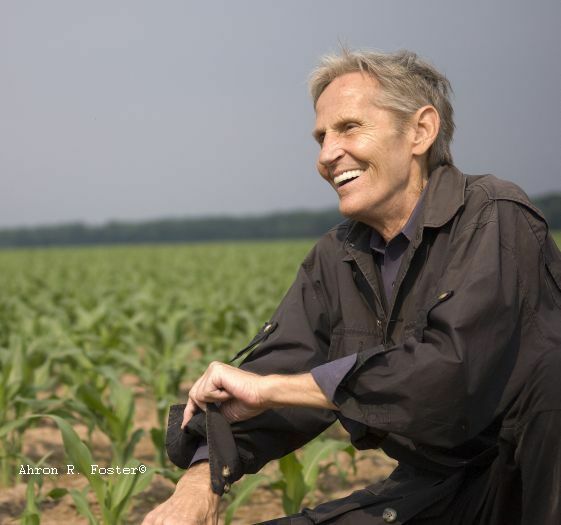 Levon Helm played until he truly physically couldn’t, and then he left this world this afternoon, I hope in no pain. His body may have been taken, but the soul he gave us is in all of us. I will never forget the way he dug into a snare hit…or the way he sang a line with every bit of heart even with his voice cracking….the way his dog, Muddy, stood by his side…the way he made me feel, the stories that he told. Farewell, Mr. Helm, and thank you. May your legacy be one of joy. You are currently browsing the Jeremiah-at-Large blog archives for April, 2012.